VIENNA — The Vienna Public Library kicked off its new automation system with an open house on Saturday morning. “We have new cards. 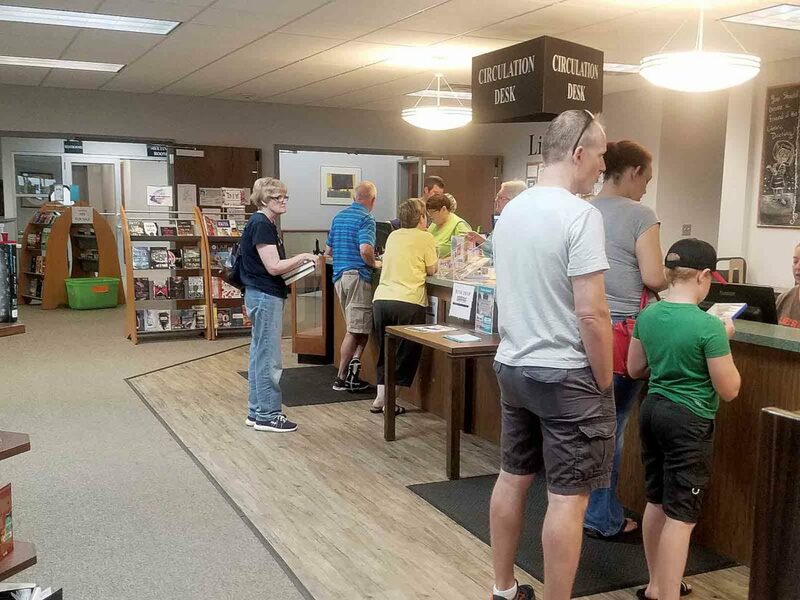 Check in and check out will be the same, but instead of only having the books or audiobooks for two weeks, they can be checked out for 30 days,” said Brenna Call, the director of library services. The new system will allow members of the library to pay fines or renew items online. “We can even keep track of their loan history, but they have to sign off on that,” said Call. “Avid readers forget titles and so do the elderly. We get questions wanting to know if we know ‘What the name of this one book I checked out last month is,’ but before now we could not answer that,”she said. The software is now web-based, not software based, meaning people can check out books, get new cards or even renew books in the school buildings, downtown or anywhere in the area. The West Virginia Reads program now allows members to check out digital copies and audiobooks through the app, and the app returns it within 21 days. “If they find something they want and we don’t have it, they can request it,” said Call. “We purchase 80 percent of what is requested as long as it is not too expensive or too old,”she said. Hope Teaford, the new youth services coordinator, and her assistant Tracy Simonton were hanging out in the childrens section Saturday, introducing themselves to children and their parents during the open house. “We are in the process of working out a story time schedule to begin the week of Sept. 24,” said Teaford. There will be a story time session for babies, toddlers, mixed ages and preschool. “We are also working on the collection development, ordering new books every month,” said Teaford. “Nothing is more exciting than to see the kids get excited to see Tracy and I for story time, or to ask us about new books they might like,” said Teaford. 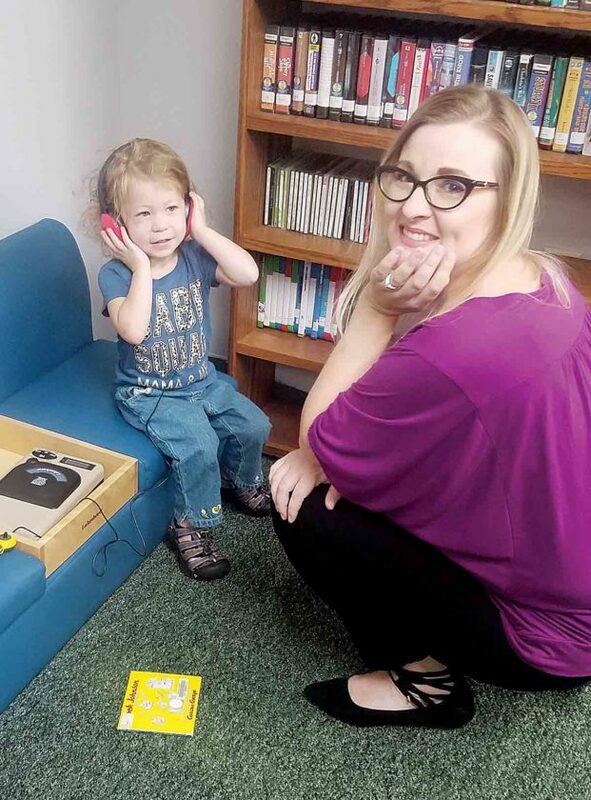 “Many people think we are just a branch of the Parkersburg Library, but we are not, and we are really working to grow our own identity,” said Cassie Rapp, wife of Vienna Mayor Randy Rapp. Sandra Eaton, the president, and Robert Eaton, the vice president, of Friends of the Vienna Public Library were sitting with Becky Roberts, a board member of the library to help educate people about changes, upcoming events and clubs in the library. 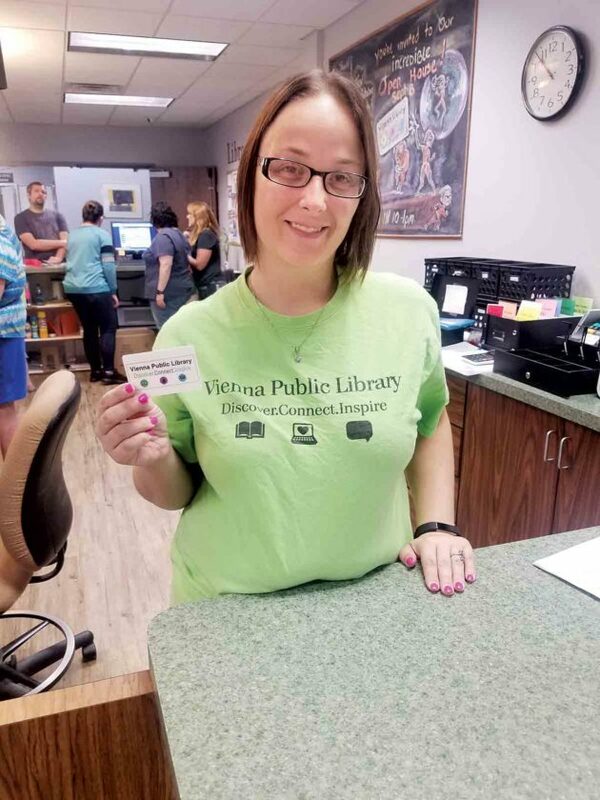 Patrons living in West Virginia or Washington County are eligible for cards with the Vienna Library.